We're now heading down to the City of Pines. We spent 2 more days in Baguio before heading back to Manila. 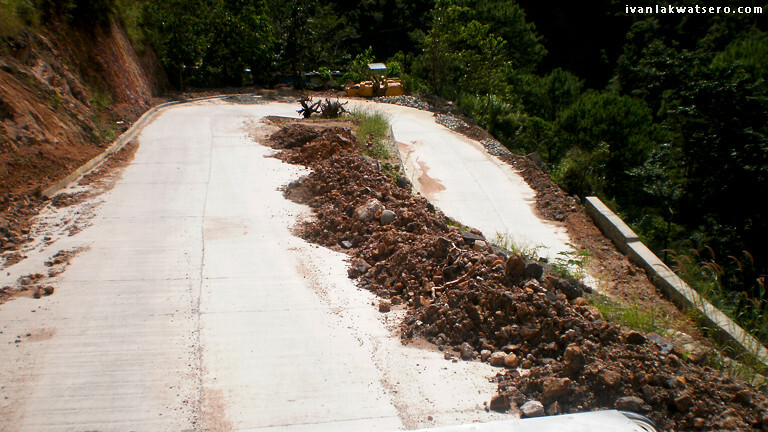 No Baguio-Sagada bus (again?!). It's 9:00 in the morning and we're still waiting for a bus that will bring us down to Baguio. According to the bus office, the next unsure trip would be at 1 pm. Oh well, time is much more valuable than gold so we decided to take Sagada-Bontoc-Baguio route. Being the capital of Mountain Province, there are trips to Bontoc that leaves Sagada every hour or depending on the influx of passengers. 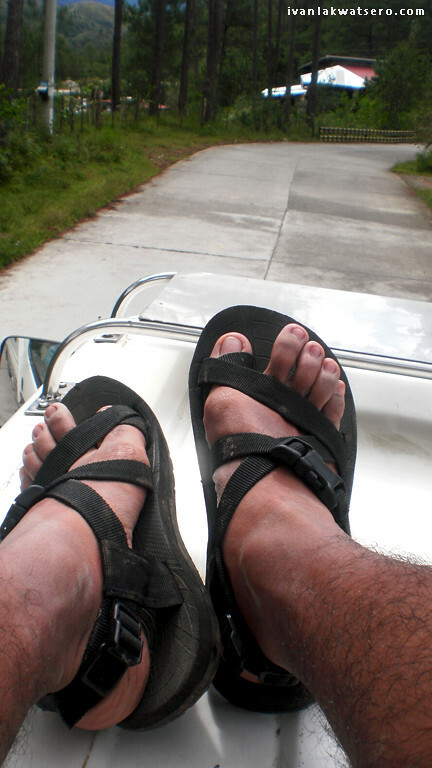 As per out trip, we left Sagada at 9:30 am, and of course we're on topload again. 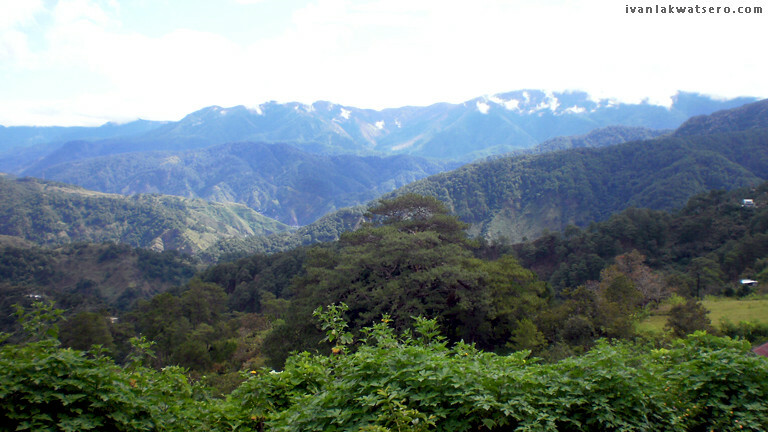 Pine trees, mountain tops, rice terraces villages, these are the usual scene while on top of the jeep going to Bontoc. I took advantage of feeding my eyes with these magnificent views because I know that I won't be seeing the same scene in months or perhaps years. 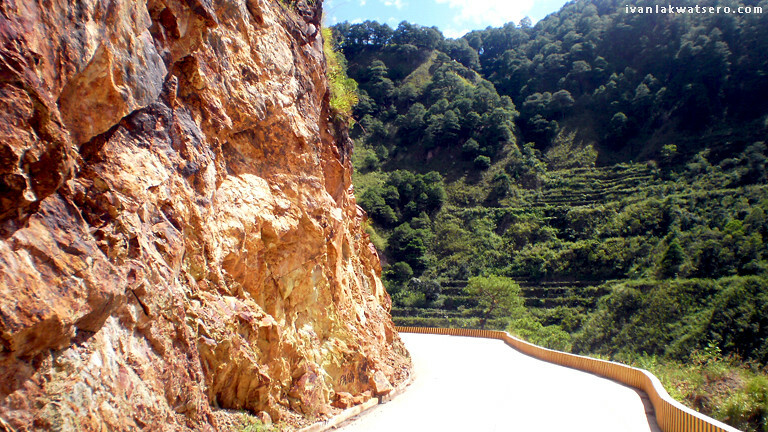 It was a smooth ride to Bontoc, we passed through a cemented road the whole time (hindi masakit sa pwet mag-topload). But the curves and high cliffs scared me. Before we reached the main town of Bontoc, a jaw-dropping view of Bontoc Rice Terraces greatly surprised us. It's wide, lush green, quite different from the other terraces we just passed by. 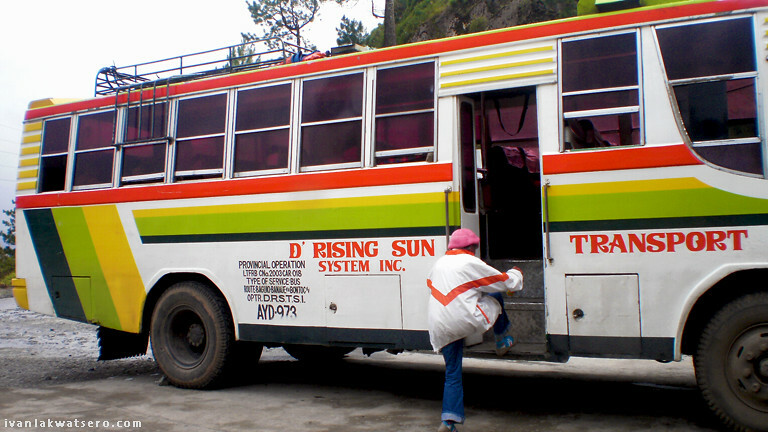 We paid the driver an amount of P55 for the wonderful one hour trip to Bontoc. 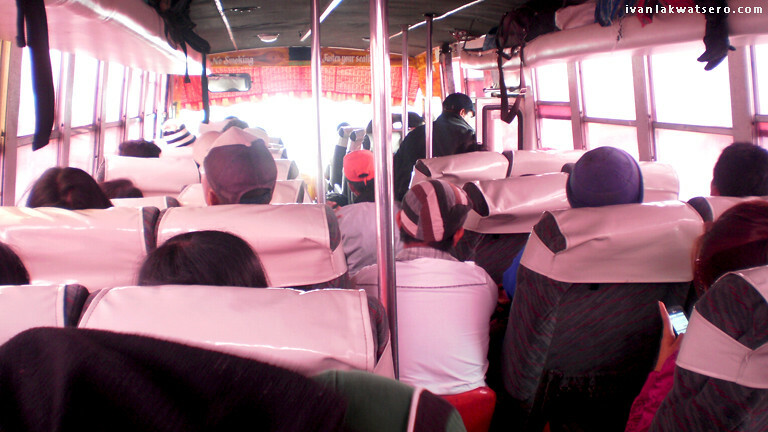 He directed us to Bontoc-Baguio buses located just beside the Municipal Hall. We just hopped into the bus, settled at the back row, then I fell asleep. We were already half way when I woke up, there's a stopover somewhere in Benguet where we had our light lunch. By 5:00 pm, the traffic, busy people and house-packed mountain side greeted us, welcome back to Baguio City. Nakakatakot nung nag-swerve yun bus sa may bangin. mukhang mas maganda na ang sagada-bontoc road...hindi ko pa naranasan mag toploading. unless siguro may carrier sa itaas para may hawakan. astig ng photos! Bakit parang ang dalang ng byahe to Baguio? Thanks sa info. ngayon ko lang nalaman na may Bontoc-Baguio buses pala. Planning to go to sagada too! Sana matuloy kami next year! 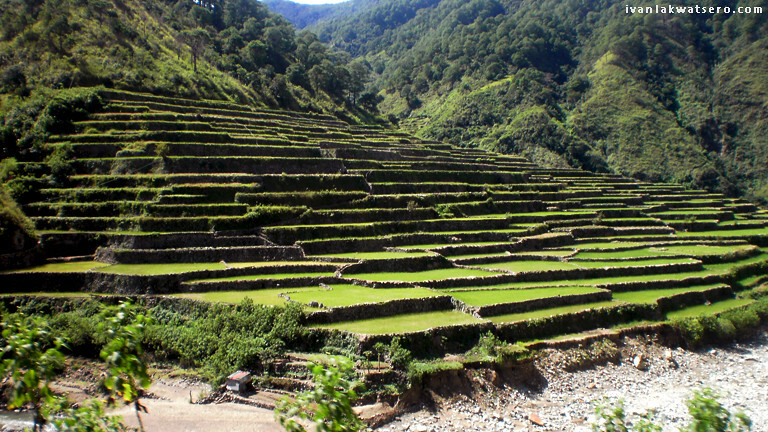 Sayang di kayo dumaan sa Bontoc rice terraces, isang oras lang ang trek tapos pwede na kayo bumalik ulit sa bayan.